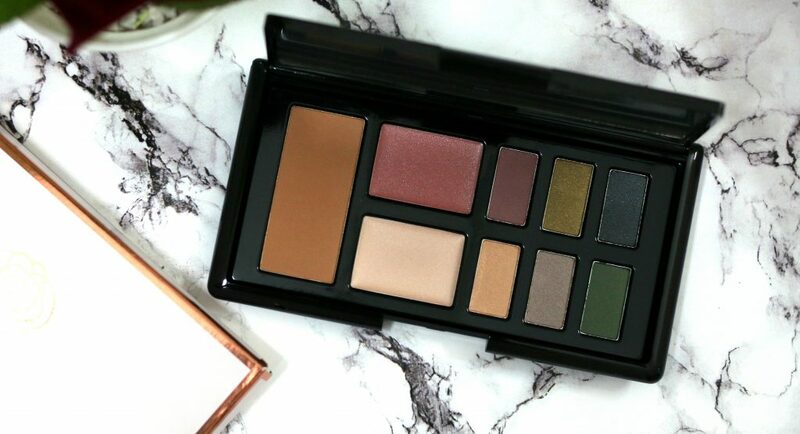 This palette features 6 creamy smooth eyeshadows including 4 limited edition shades, lightweight and long lasting for ultra blendable, buildable application. I am really in love with the dark colors in this palette. 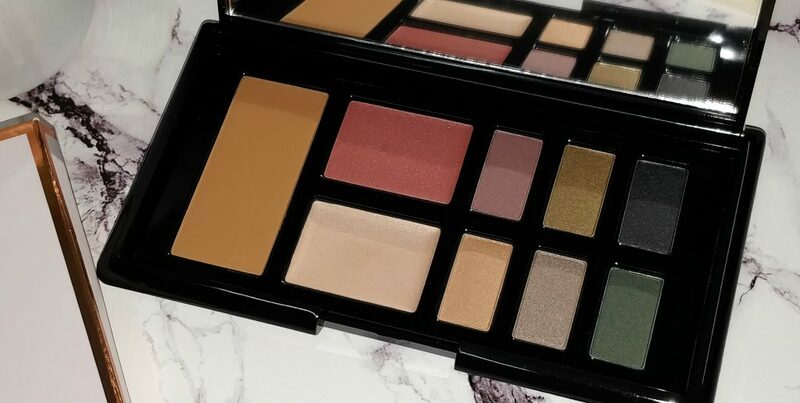 Especially, for us warmer skin, these colors look lovely and can be mixed and matched or used in combinations to create the perfect smokey eyes or natural looking eye looks. There is also a silky soft matte bronzer. I love it. It is perfectly blendable and doesn’t appear chalky or powdery during application. 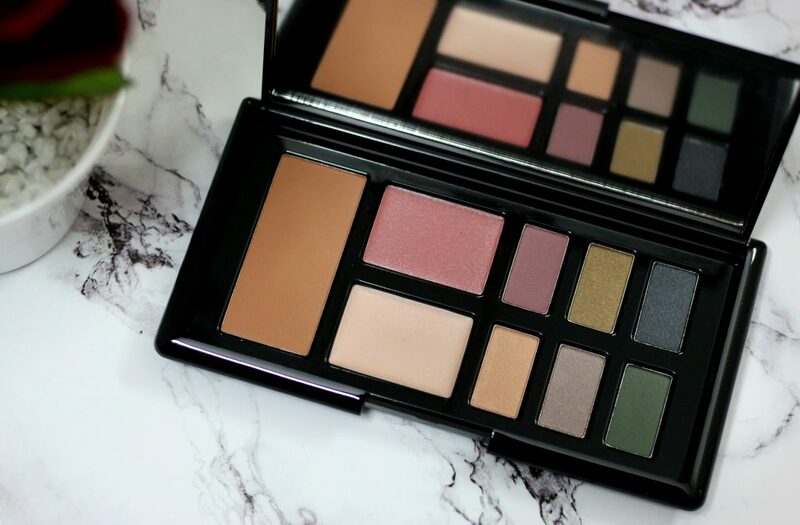 It gives you the warmth that is perfect and can be doubled up as a slight contour shade too. The cream blush in a neutral shade for a natural flush of colour. Honestly I am not a big fan of cream blushes. But, Overall, it looks nice. You can use it even for your lips for the slightest tint of stain. Again, the silky smooth highlighter with pearlescent pigments for a subtle shimmer look. It’s really pretty and is easily blendable too. Doesn’t accentuate pores and it doesn’t leave the face greasy. It just give the subtle glow to your cheek bones. i like to apply this on the bridge of my nose as well. Bronzer: Talc, orzya sativa starch, dimethicone, octyldodecyl stearoyl stearate, zea mays starch, zinc stearate, caprylyl glycol, phenoxyethanol, dimethoiconol, hexylene glycol, isononyl isononanoate, dimethicone/ vinyl dimethicone crosspolymer, polymethylsilsesquioxane, silica, trimethylsiloxysilicate, ci 77891, ci 77492, ci 77491, ci 77499). Highlighter: Hydrogenated polyisobutene, diethylhexyl adipate, dimethicone, mica, polyethylene, candelilla cera, talc, silica, polymethyl methacrylate, silica dimethyl silylate, cera microcristallina, polyglyceryl-3, diisostearate, octyldodecyl stearoyl stearate, octyldodecanol, nylon-12, simmondsia chinensis seed oil, oryza sativa bran oil, cetearyl ethylhexanoate, cholesteryl hydroxystearate, tin oxide, tocopherol, lecithin, ascorbyl palmitate, glyceryl stearate, glyceryl oleate, citric acid, ci 77891, ci 77491, ci 77499. Blusher: isononyl isononanoate, hydrogenated polyisobutene, mica, polyethylene, silica, hdi/ trimethylol hexyllactone crosspolymer, silica dimethyl silylate, c30-45 alkyl dimethicone, dimethicone/ vinyl dimethicone crosspolymer, cetyl dimethicone, dimethicone, propylene glycol dicaprylate/dicaprate, pentaerythrityl tetra-di-t-butyl hydroxyhydrocinnamate, laureth-4, lilium candidum bulb extract, prunus persica (peach) fruit extract, ci 77891, ci 77491, ci 73360, ci 77492, ci 77499. Eyeshadows : Talk that talk , velvet rose, iconic rose, bitter: Talc, mica, dimethicone, octyldodecyl stearoyl stearate, zinc stearate, zea mays starch, silica, pentaerythrityl tetraisostearate, potassium sorbate, chlorphenesin, caprylic/capric triglyceride, tetrasodium edta, tin oxide, alaria esculenta extract (+/- ci 77891, ci 77491, ci 77492, ci 77499, ci 77007, ci 77742). Eyeshadow causing a stir: Talc, mica, dimethicone, octyldodecyl stearoyl stearate, zinc stearate, zea mays starch, titanium/titanium dioxide, silica, pentaerythrityl tetraisostearate, potassium sorbate, chlorphenesin, caprylic/capric triglyceride, tetrasodium edta, alaria esculenta extract tin oxide, ci 77891, ci 77491, ci 77492, ci 77499, ci 77007. Eyeshadow gossip: Talc, mica, calcium aluminum borosilicate, dimethicone, octyldodecyl stearoyl stearate, zinc stearate, zea mays starch, silica, pentaerythrityl tetraisostearate, potassium sorbate, chlorphenesin, tin oxide, tetrasodium edta, ci 77891, ci 77492, ci 77499. 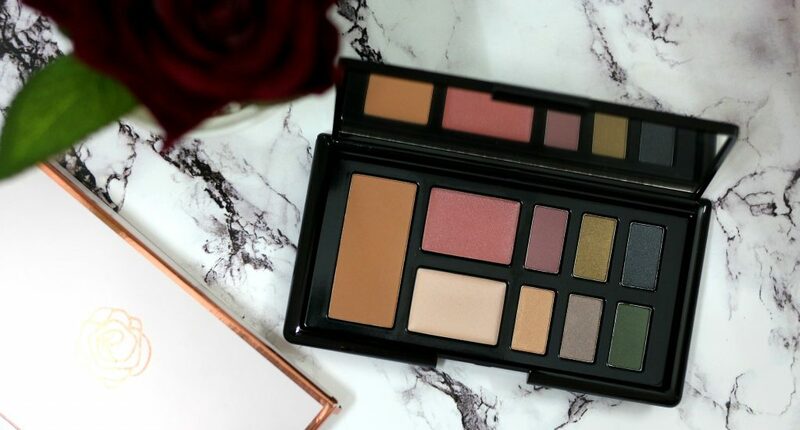 My favorites in this palette are definitely the bronzer and eye shadows. 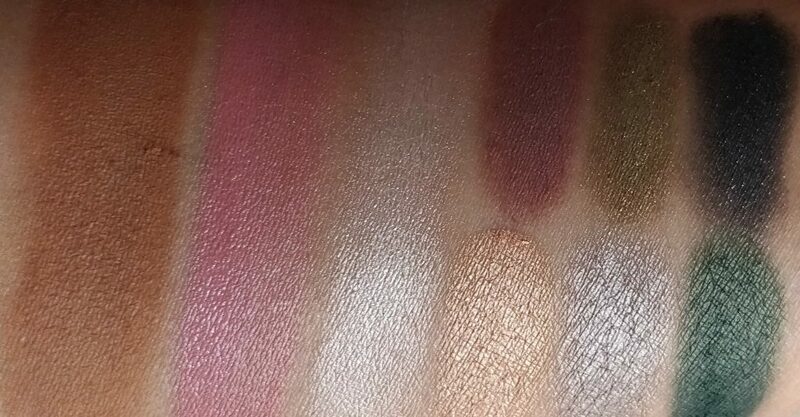 As you can see from the swatches – All shades are very pigmented and for the eyeshadows I didn’t notice any fall out. They easily blend and stays for about 6 hours on my lids. I like to apply the olive green and black combo along with the pale gold color the most. Bronzer is lovely as well. Really happy with the good staying power of shades in this palette. However, I feel if you have a super pale skin, Bronzer might appear a little orange. I have yellow toned medium skin and I can very well pull it off. 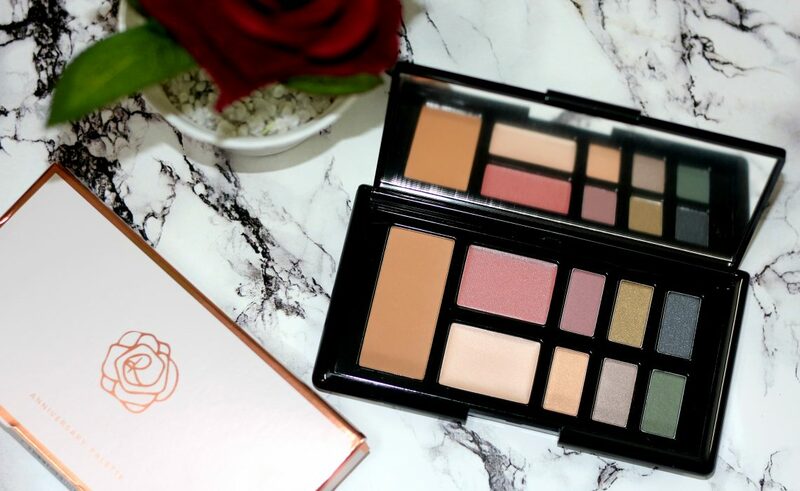 Overall, It’s a beautiful palette , nicely designed outer packaging with a white and rosegold design. 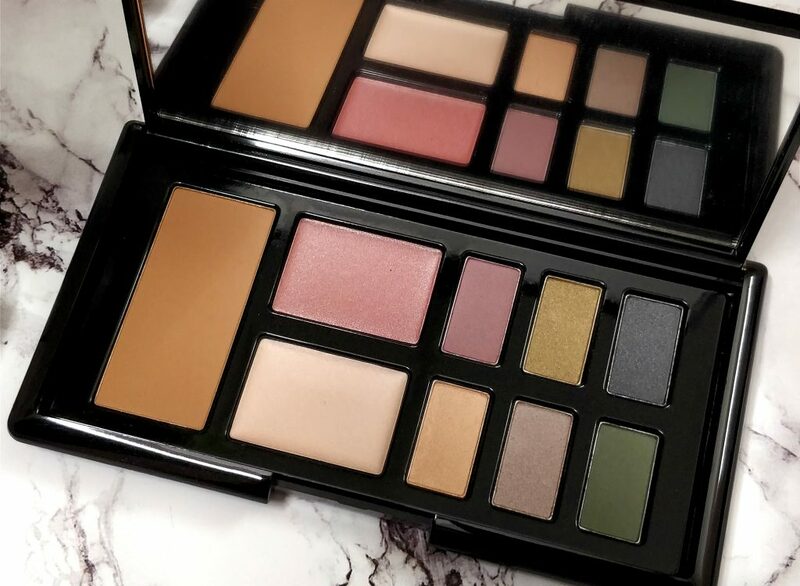 I absolutely love the palette, I would definitely recommend it if you are looking for a travel friendly everyday palette. 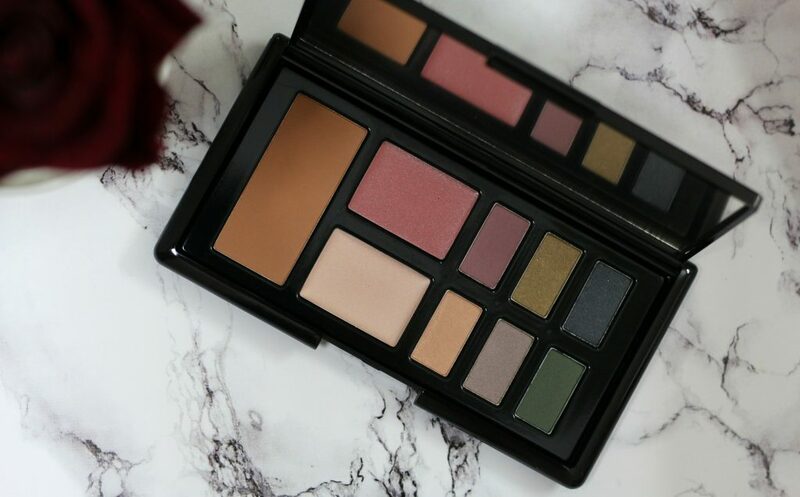 What’s your opinion about this gorgeous palette from M&S. 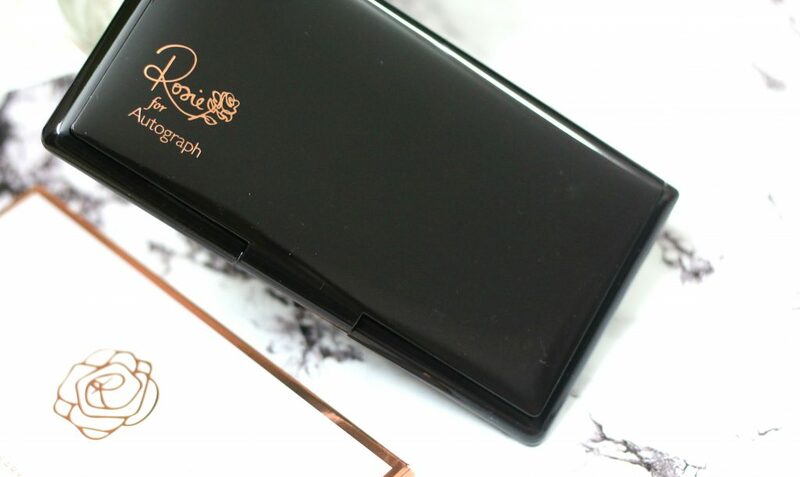 Have you tried makeup range from M&S ? ** Disclaimer: These items were gifted for review by Marks & Spencer. 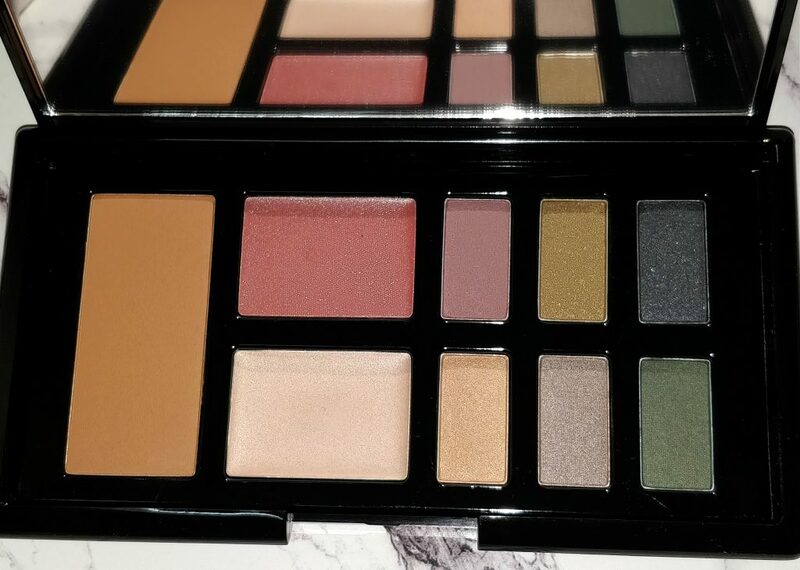 These colors are so beautiful, and I love that they’re paraben-free. I’m finding that that’s becoming increasingly important to me when I pick out makeup. The colors are beautiful! I love a combo compact – gives you an easy thing to throw in your purse or suitcase without having to think too much. 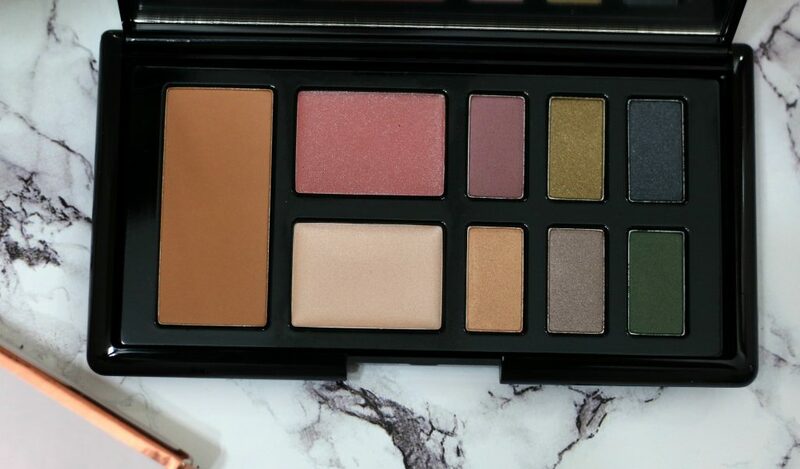 Oooh I would really like this palette! The shades are unusual and I love to find something different. I’ve been cruelty free since Christmas so it’s great that this is! it’s one of those ranges I’ve been meaning to try but haven’t got round to yet.I definitely will having seen this. What a beautiful palette. 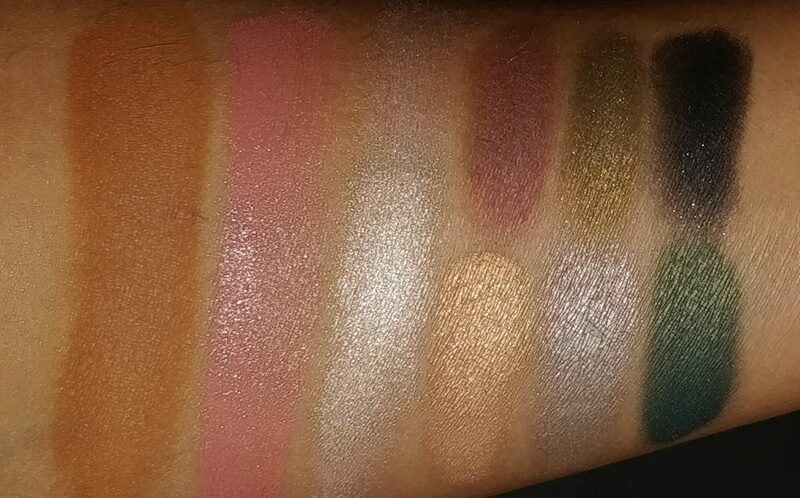 I am loving all the shades in the palette, the swatches look great. I am glad the staying power is good, will need to check this one.